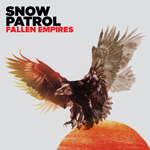 Upon the release of Snow Patrol’s sixth studio album this month, Fallen Empires was already listed as No. 1 on iTunes, which is unsurprising, due praise for songs like “Chasing Cars” and “Run.” If you’re looking for this album’s biggest hit, look no further than the second track. “Called Out in the Dark” has all the makings of being the radio’s next overplayed song — it’s catchy and about as upbeat as Snow Patrol can get. If you’re a fan of their signature melancholy sound don’t worry, there’s plenty of that. “The Garden Rules” is most memorable, despite the sugary attempt to be profound through lines such as “Oh, you will never know how much I love you so.” The rest of the songs blend together in a slow and trance-like continuation with a vaguely Arcade Fire-like sound (minus the fun). On a more positive note, this album does make for good background music to study to. It is difficult to buy into the hype of a new album when the hype is that the album is going to be “very, very, very epic.” It is even harder to take it seriously when that is from the mouth of the band’s frontman. However, Anthony Gonzalez of M83 might have been true to his word on the band’s new album, Hurry Up, We’re Dreaming. The first double album by M83, it is by far their most complete album to date, the sixth in the band’s discography. With the familiar synth-pop anchoring the album, Hurry Up, We’re Dreaming branches off from familiar territory carved out by previous albums like Saturdays = Youth, and even though it is a double-disc album, it feels as if it is the easiest of all of M83 to sit down and listen to in one go, because the music really comes together to tell all sorts of bizarre stories, from brothers and sisters to children’s stories about frogs. “Like glitter’s raining on me” — it’s not too often that by chance, a song lyric perfectly encapsulates your mood. Well, I must have woken up on the right side of the bed the day I first heard Jessie J’s newest North American single “Domino”. But, it wasn’t till weeks later when I finally googled those five words that I found out the girl who sang this summer’s easy-going hit “Price Tag” also belted out this song I couldn’t get out of my head. “Domino,” which was written with Katy Perry (and sounds eerily similar to her), is only found on the platinum edition of this Brit’s debut album Who You Are that was released late last year. Who You Are is a bit repetitive at times but there are a few hidden gems like “Abracadabra” that make up for some lackluster tracks.